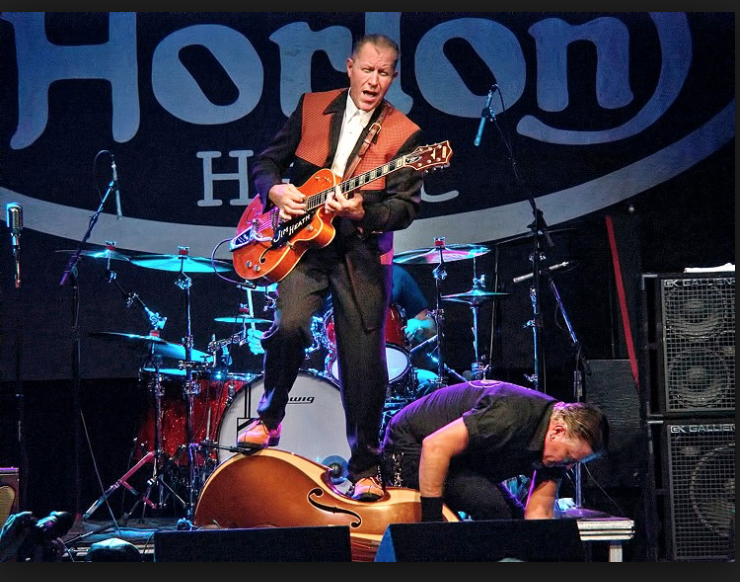 Zandra Productions presents Reverend Horton Heat's Rockabilly Invasion starring Reverend Horton Heat. If anyone should be leading the charge for rockabilly, it's the Rev. His three decades making music built a name for him far outside his Texas home, spinning stories funny and tragic with the hard-charging intensity swing of the very best rockabilly. His latest record, Whole New Life, came out in 2018 on Victory Records. Montreal, QC rockabilly artist Bloodshot Bill, Las Vegas rockabilly group the Delta Bombers, and Missouri R&B group the Hooten Hallers open. Doors at 7:30 p.m. Advance tickets go on sale January 24 at 10 a.m. and will be available at Vintage Vinyl, Madame Yes, and online at theExchangeLive.ca. Tickets available at the door barring a sell-out. All ages and licensed. Visit Reverend Horton Heat's website, Facebook page, and Twitter feed.